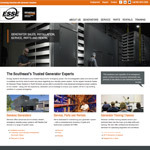 We hope you’ll enjoy browsing the new site and find useful tools to learn about the standby power products and services we offer throughout the Southeastern U.S. We welcome your feedback – please email: courtney.sheffield@essellc.com and let us know what you think about the new website. 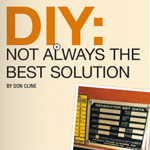 Energy Systems Southeast’s Service Sales Manager, Don Cline, explains the perils of “do-it-yourself” generator maintenance in a recent article published in Water Stewards, the Georgia Rural Water Association’s online magazine. Are you overlooking key maintenance issues on your standby power system? Nothing affects profitability as instantly and dramatically as unscheduled downtime (intermittent or longer term), system failures, and loss of equipment or process availability. Electric power problems are an opportunity where ESSE demonstrates the savings of implementing a surge protection system. You too can take advantage of these savings opportunities. Download Thor’s article (pdf). When designing a wastewater treatment facility, following are the key design considerations for selecting a properly configured generator. Size the generators for a full load at the plant. Generally, two smaller paralleled generator units are preferable to one larger generator. Establish critical loads for the plant, which may vary depending on the length of the outage. Limit connections to the existing electrical distribution system. This helps minimize potential breakpoints and allows you to plan the most direct route for electric flow. Assume a worst case scenario of your highest projected flow. Account for the resetting of the equipment, and the Supervisory Control and Data Acquisition (SCADA) systems which monitor and control the plant. Overall plant configuration may also impact startup times. Determine the average length of outages in the area. Take into account the effects of fuel storage as well as engine type. Follow a general rule of thumb using 72 hours at full load. This information is used throughout the sizing to properly recommend a generator solution to fit the specified requirements. Review, edit, or modify the loads in the project. Review the total load resulting from all individual loads. Group loads into separate load steps for generator startup. Define loads to shed during generator operation. View the recommended generator solution. 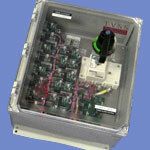 Manually choose a generator solution. Download documentation including SpecText® (master guide specification generating software), spec sheets, installation drawings, and more. The ‘Add Loads’ section contains a list of several types of typical loads found in commercial and industrial applications. Clicking on each load (Fire Pump example shown) allows you to modify specific information about the load or you may use the default information provided. Once the load information is entered; clicking the ‘Add’ button inputs this information into the load summary screen and adds it to the other loads that have already been entered. It’s important to click the “Add” button after each new load. Every screen within Power Design Pro has a help icon in the upper right corner. This help function is dynamic, providing additional information to topics related to the specific screen you are viewing. This allows you to more easily and quickly reference relevant information based on work you are currently doing.